The buildings below are ones that are sold. 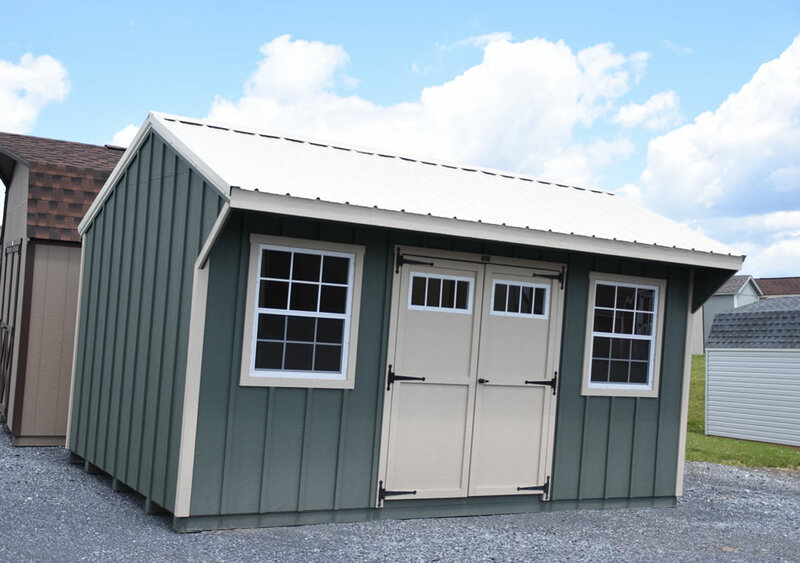 You can custom order buildings with your own colors and sizes. Summer time lead time varies from 2-5 weeks depending on the amount of orders we have.